Time for another advance look at one of the projects I’ll be teaching in September. 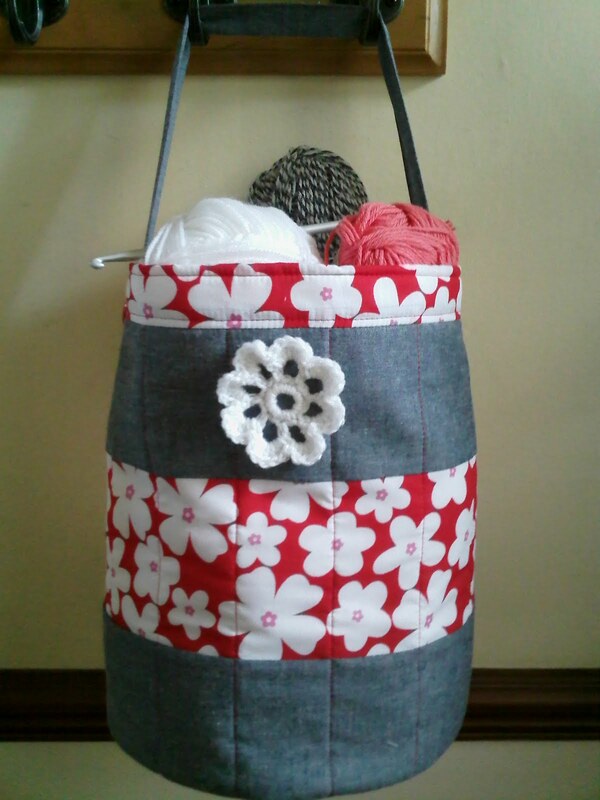 Despite my name – Rags to Bags, I’m not all about bags! However, today’s post is! 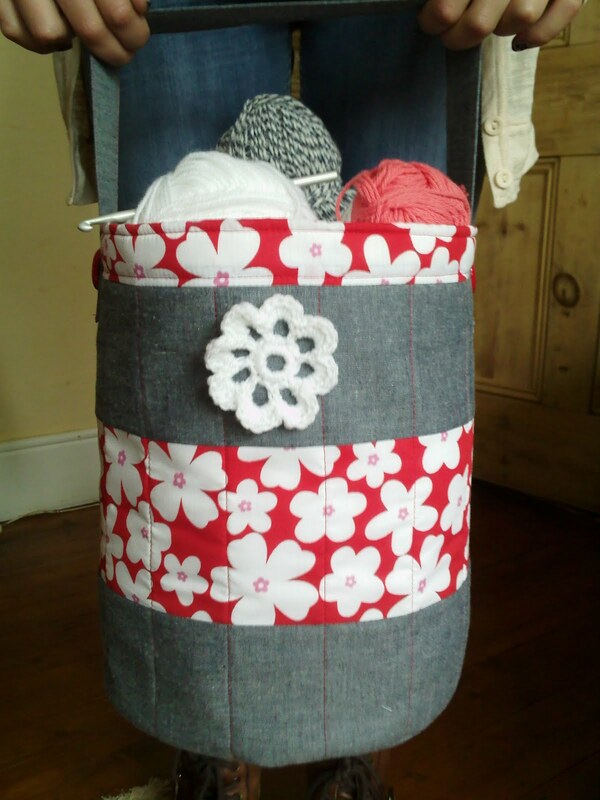 I adapted a pattern I’d seen in a book to make this quilted barrell bag, which can be used for lots of things – knitting/crocheting, toys, fabrics, sewing projects etc. The construction of the bag is easy enough, despite having an inserted round base (& I added a piece of cardboard in the base to give it extra stability). 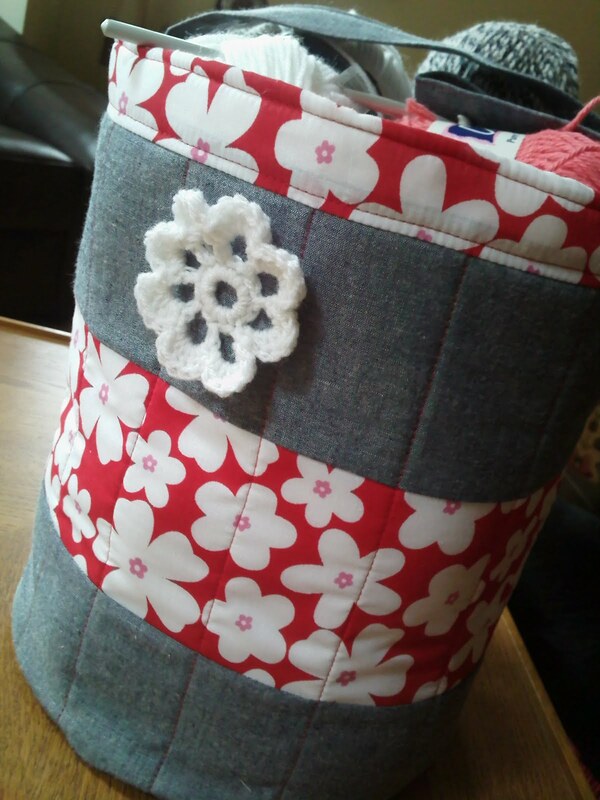 I used cotton fabrics, but because they are quilted, the bag is surprisingly sturdy and upright. 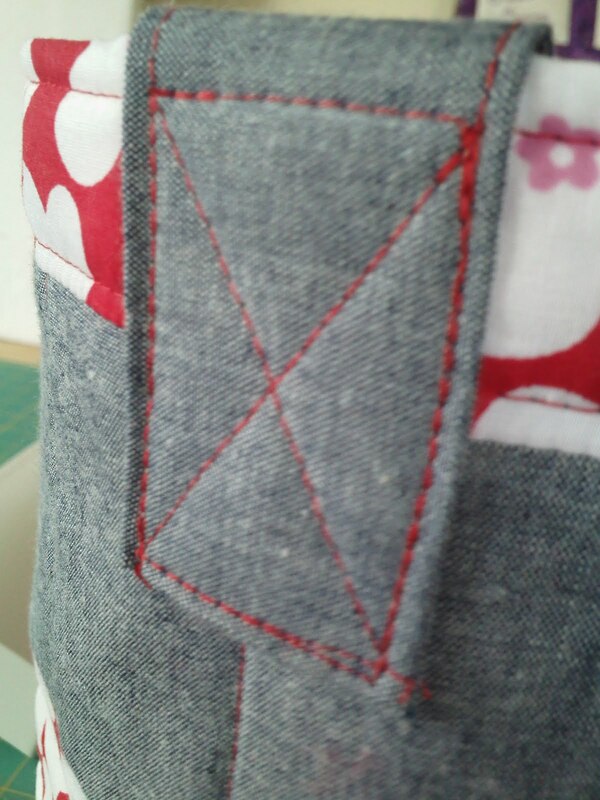 You could easily use denim or curtain weight fabrics for this project, as long as you use a jeans needle in your machine. For my own use, I think I’ll shorten the handle, but that’s the good thing about making stuff – you can adapt it to suit your own preference. I added a crocheted flower to my bag because I’m going to use it to keep my crochet projects in, but you could ‘theme’ your bag whichever way you please. So this simple 3 week project will be in next term’s programme, which I will be adding to my blog very soon.